I hope you are enjoying your week so far! 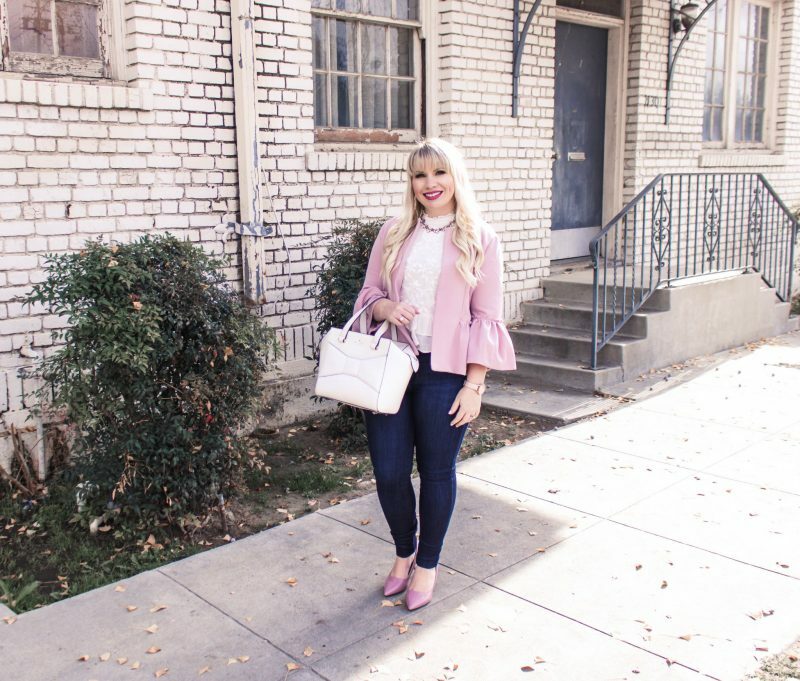 Apologies for the late post..it’s been a crazy few days 🙂 Anyway, today I am showing you how to style a blazer with jeans while still looking feminine and fun! 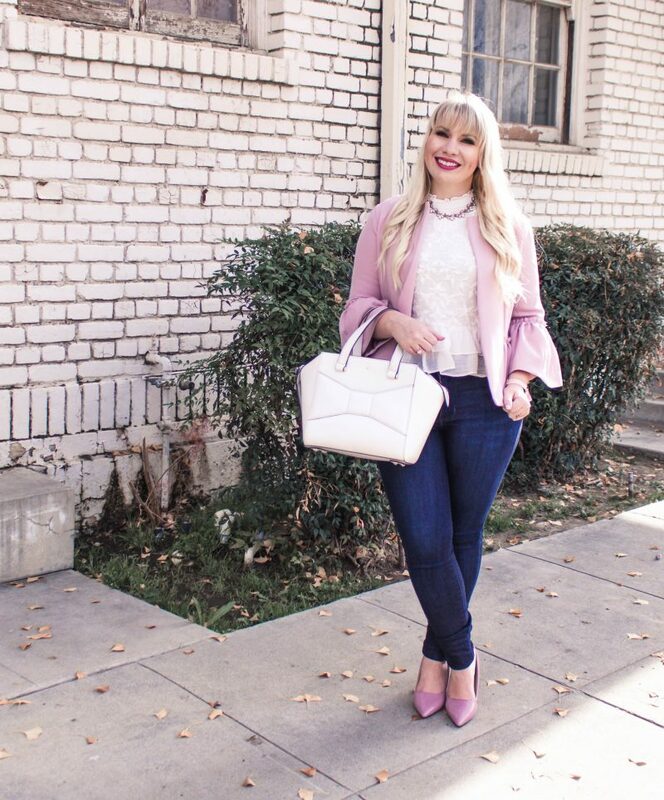 Although I love a good blazer, I don’t wear them entirely too much. This is because they normally come off a bit stuffy to me and *ahem* boring…but let me explain. While I do adore a great structural garment, blazers typically remind me of my days working retail at Express. I would oversee an expansive collection of workwear in hues of black and grey daily. I also worked as a merchant teller at a bank around the same time and since I got a pretty hefty discount from my Express job, most of clothes came from there. Working in a more corporate environment made me feel trapped and stunted my freedom to be creative with my clothing. 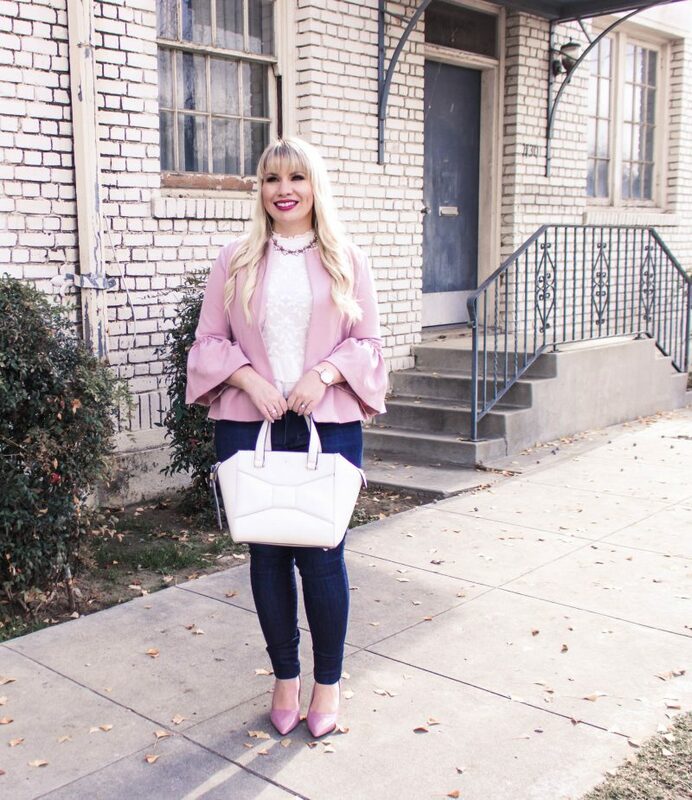 The dress code was strict and I found myself reaching for the same items day in and day out just meet those standards while my other, more “interesting” clothing stayed behind in my closet unworn. As a fun, creative and free-spirited person, sacrificing my colorful, whimsical style was something I absolutely loathed and as a result, I felt unstimulated. It didn’t help that I absolutely did not like my corporate job….boring job + boring clothes = boring life. In a sense, I condemned the workwear for my unhappiness at my job and ever since then, I have stayed far, far away. The good news is is that it’s not 2007 anymore. Long gone are the days of boring workwear! Now, we have more freedom and creativity to express ourselves in a way that we weren’t previously able to which is that we can be both stylish and professional. Blazers of many colors AND prints currently flood the racks and the possibilities seem endless. 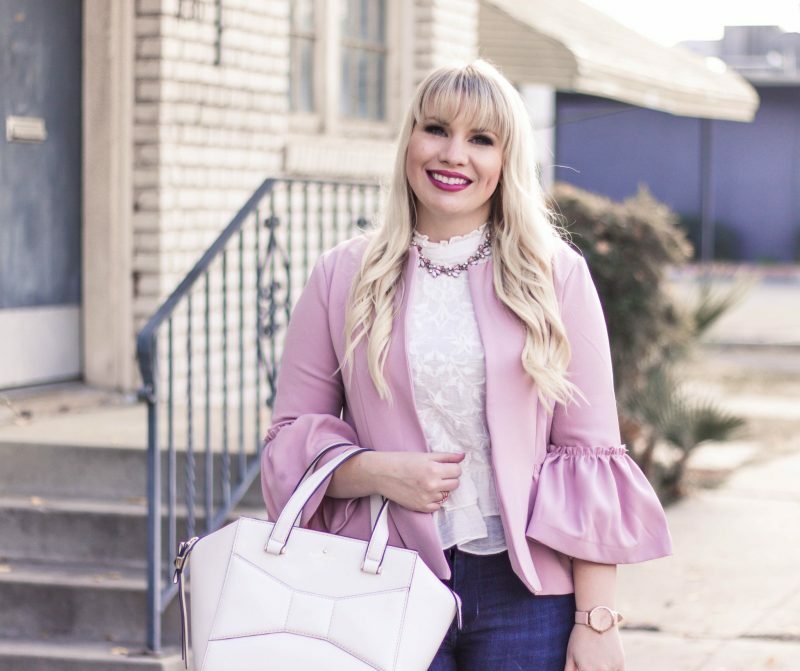 As the trends changed, I also changed and realized that there are more options for work wear and that if you style it the right way, you can create a “fun” look that is put-together yet work appropriate….and guess what. 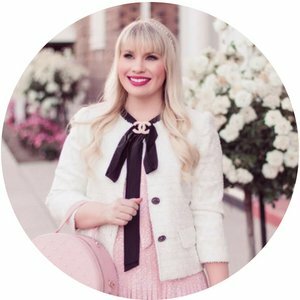 I FINALLY found a blazer that I absolutely adore and it hits all the marks. 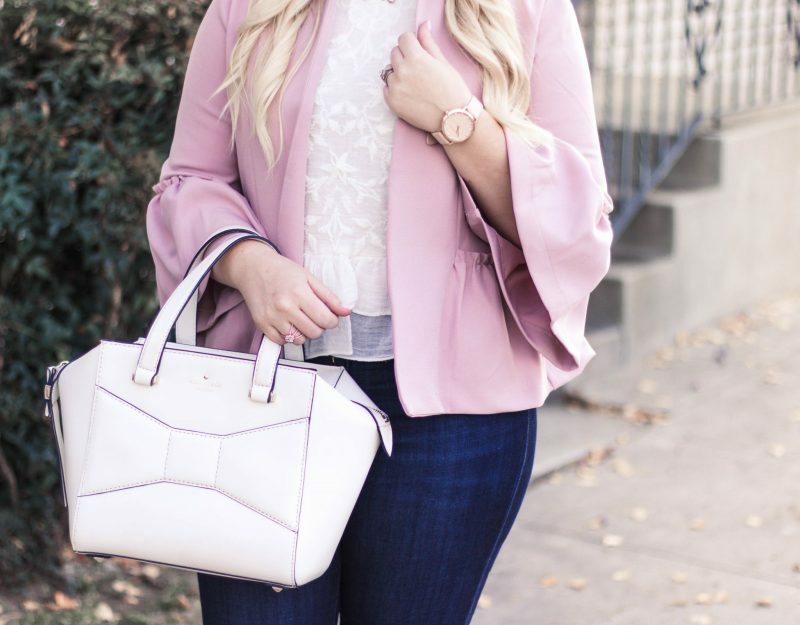 It’s in the prettiest pink hue with ruffles galore and is a chic, structured piece that mixes well with everything. It can be dressed up with a pencil skirt or wide leg pants or dressed down with a pair of jeans or flowy sundress. 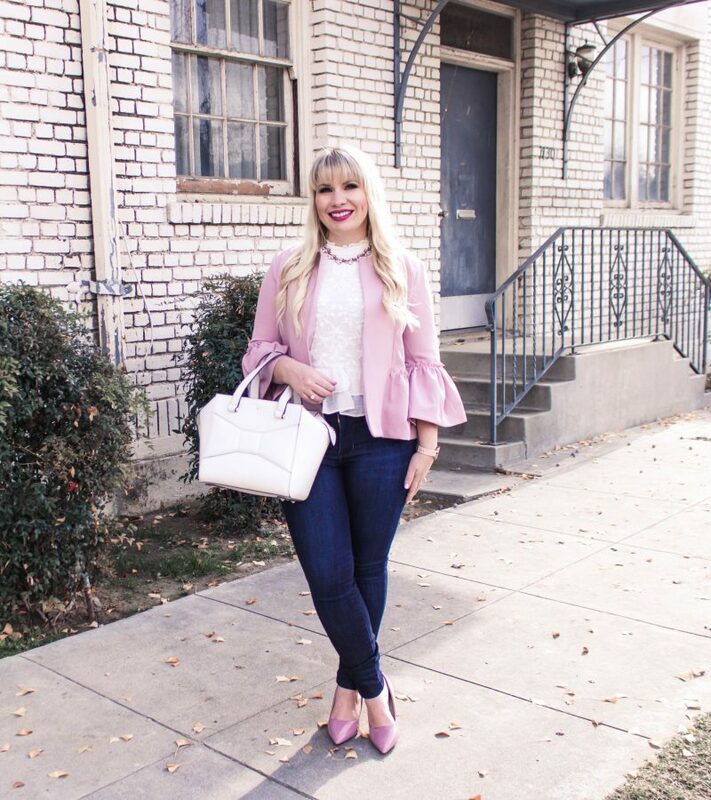 I wanted to style it in a way that was true to my signature style: feminine and colorful yet chic and wearable. Underneath, I layered a breezy gauze embroidered top with a high necklace and ruffled bottom to mimic the blazer. 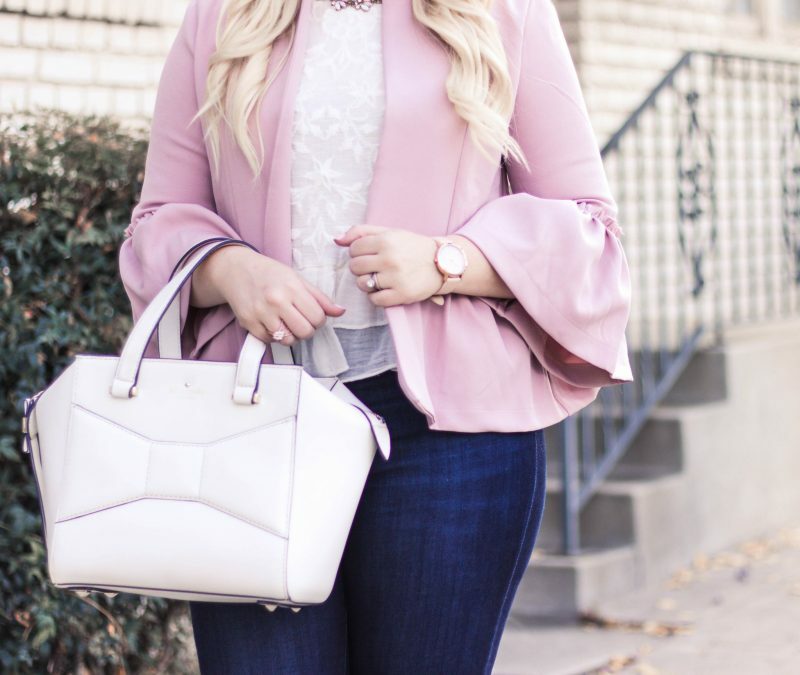 I added a structured handbag, pastel colored heels and simple jewelry including a jeweled choker, rose gold ring and blush colored watch. 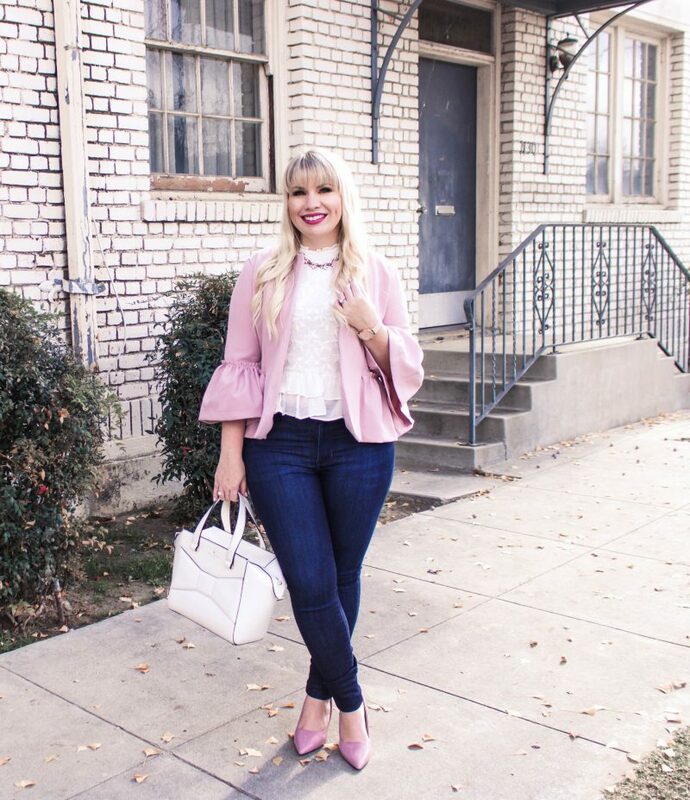 I can’t wait to style this for spring! 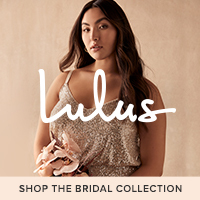 Are there any pieces of clothing that you previously weren’t a fan of that you can’t get enough of now? 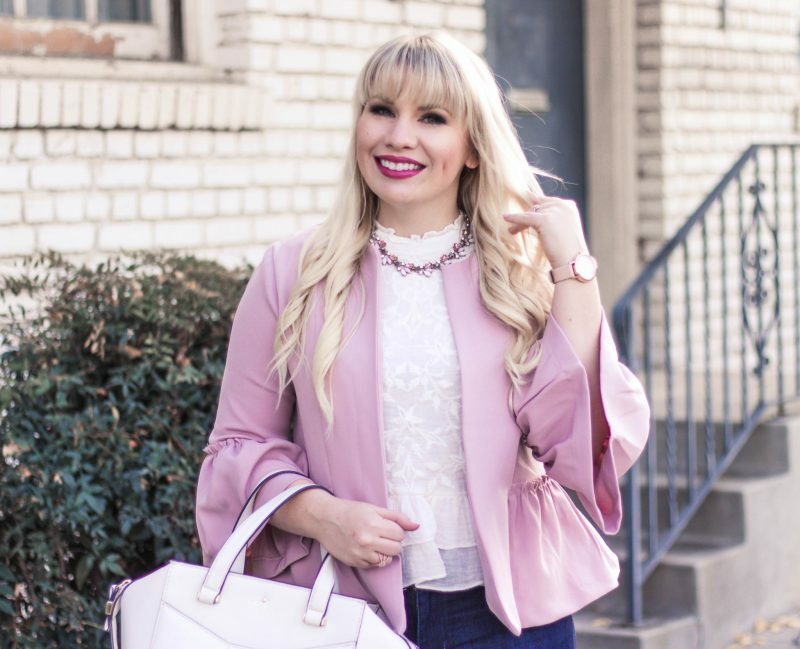 Previous Post $500 Nordstrom Giveaway!